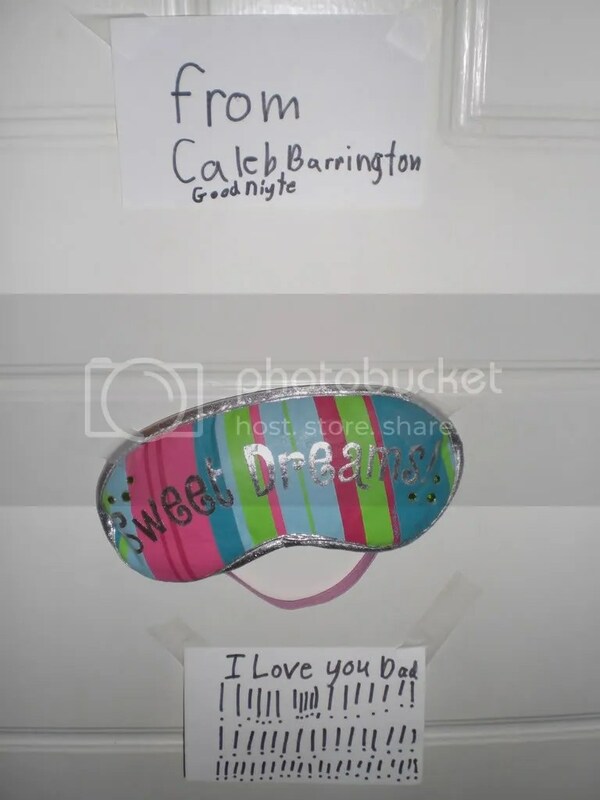 Last night Kelly and I went to bed, and when I got to my door, my son, Caleb, had taped a sleep mask (which I love the sleep mask thing…why didn’t I discover that years ago!!) that said “sweet dreams” along with two note cards with his message. I beamed. And almost teared up in an ever so masculine way. We’re back home!!! Good drive from St. Louis – although listening to the kids movies on the little DVD player gets old…however, better than listening to them fight for seven hours! The cats are still alive. Keeping up with annual tradition, my mother & father in-law watched our children while Kelly and I got to drive into St. Louis to watch TWO movies last night. We watched The Golden Compass and I Am Legend on IMAX. Let me say – I love IMAX!!! LOVE IT!! 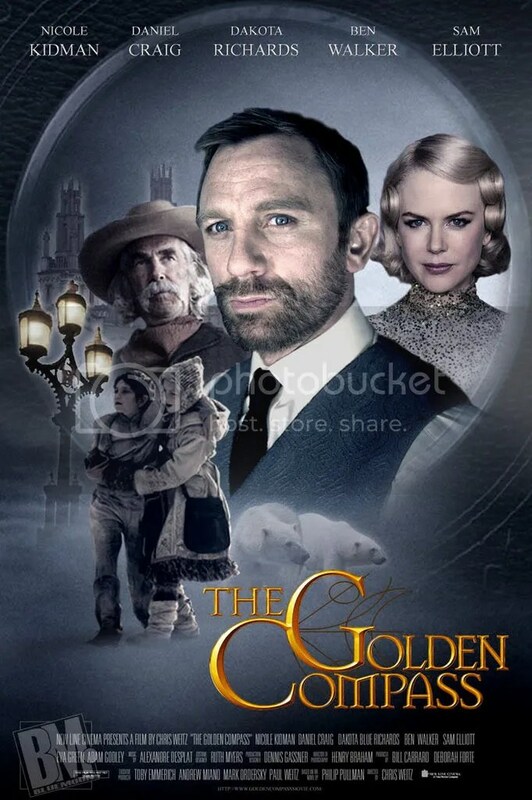 O.K…we went to go see the controversial Golden Compass. The movie is based on Phillip Pullman’s trilogy that supposedly has God as the enemy and is antithetical to faith. So we finished watching the movie and I have decided that I’m now…an atheist. Just kidding! Actually, I rather enjoyed the movie. Great story, excellent special effects, the acting was good – action packed, etc.! I left thinking that it would be difficult for a child to see this one movie and somehow leave no longer believing in God. Here is my deal. The movie ended with needing a sequel. My understanding of the books (which I have not read, but am now curious about) is that the first two books are rather tame and that the third book is the most explicit in regards to being antithetical to God/faith, etc. Because of that, or until I read the other books, I’m not sure I want my children getting into this story line only to not see the other two (or last movie) because it was explicitly undermining to faith. So there is much to think through. One of the better reviews I have read is from Albert Mohler. You can read his review here. I especially appreciate the “What Christians Should Do” section. But to adults, it is a good story. It is a good movie. If you don’t want your children to see it – I totally understand that. But the last thing the church should do is go nuts with boycotts, forwarded e-mails, mass warnings, etc. In fact, had it not been for those, I probably wouldn’t have seen the movie at all (the flesh in me 🙂 )! 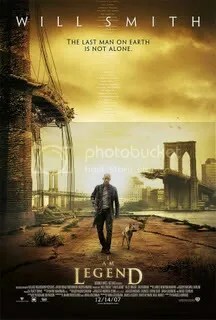 I Am Legend – excellent thriller. Different than I thought it was going to be. And I saw it on the IMAX! I thought Will Smith was excellent. When we left the movie theater, my shoulders and neck were sore from being so tense. You should see this movie! Even more so if you can find it on an IMAX. I still really want to see the Great Debaters. Spent the morning at the Hillsboro, MO McDonald’s. I come here every year. I sit here eating my McDonald’s breakfast and drinking my McDonald’s coffee (which I love) and assess the year. I also read my journal for 2007 and analyze my journey over the past year. I also use it as an opportunity to make some goals for 2008 (I’m kind of into the New Year’s resolution thing). Life is good when you have a family – biological and church – that you absolutely love!! 2008 – Bring it On!!! Tonight we went with the in-laws, Max, Lori and kids, to see their church’s Christmas Eve service. It was awesome!! They go to Eagle Point Community Church in St. Louis, MO. The Lead Pastor is Ed Callahan and his entire family has some serious music skills! Seriously – I’m genetically jealous. Anyhow… great concert. The video below is a segment of the concert specifically highlighting my brother-in-law and kids (and the Trans Siberian Orchestra Christmas Eve song – one of my favorites). One classic Caleb (my 8 year old) story first. The evening was full of great music, lots of different genres, and it moved through the movements of light and fun to serious and reflective. And then came the most serious moment. The speaker just invited everyone to accept Jesus as their “personal Immanuel.” Then he prayed. It was silent, serious…you know…people accepting Jesus moment. Then Caleb, who was sitting next to me, bends forward in his chair. As he does, he “rips one!” I mean a serious One! A seriously loud one!!! RIGHT IN THE MIDDLE OF THE PRAYER! Everyone around us burst into laughter (even though we all tried to subdue it). Who knows if we will ever be asked back again? Celebrating Christmas with the family in St. Louis. Good food guaranteed!!! Does anyone else feel old when they get Christmas cards from their friends and it includes pictures of their children? Good grief…my best friends, people who are MY AGE have kids who are now teens!!! TEENS!!! In my mind they are supposed to be 3-4 years old. Makes me feel old. We have an awesome time planned with – great worship, Christmas songs, gro0vy video clips, drama, cute kids, O Holy Night solos (oh yea), and a slammin’ sermon (although I’m a little biased on the sermon).